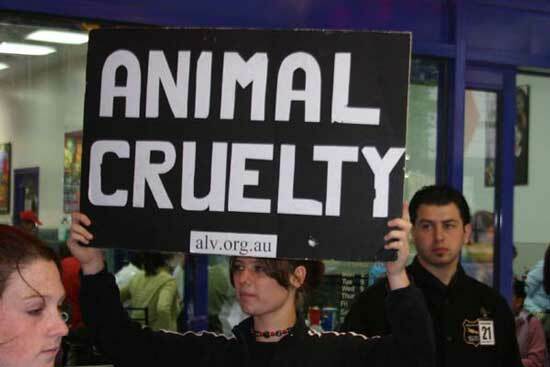 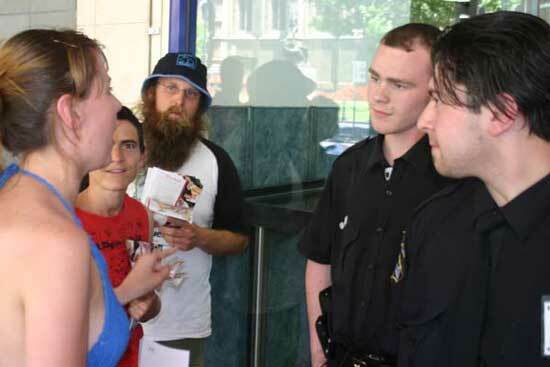 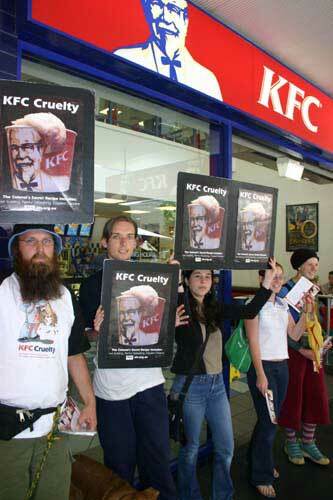 For over three years Animal Liberation Victoria have been conducting weekly demonstrations outside Melbourne's central KFC as part of the international KFC Cruelty campaign. 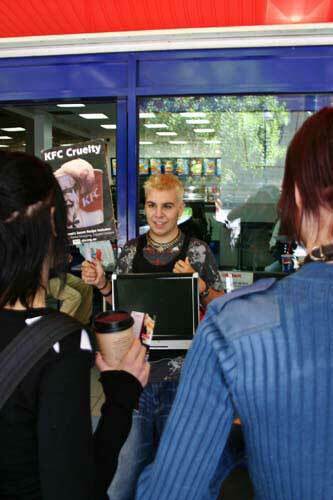 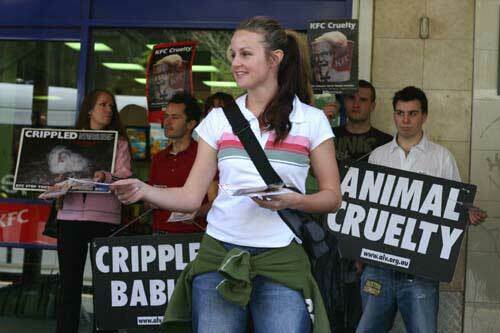 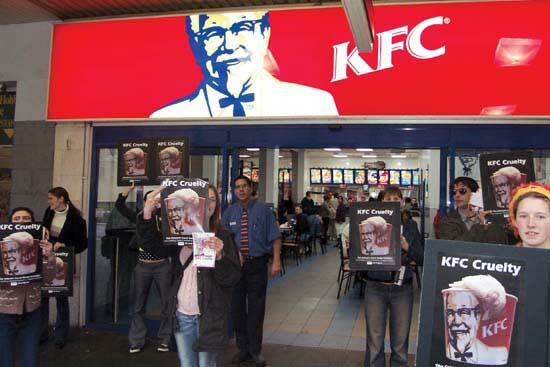 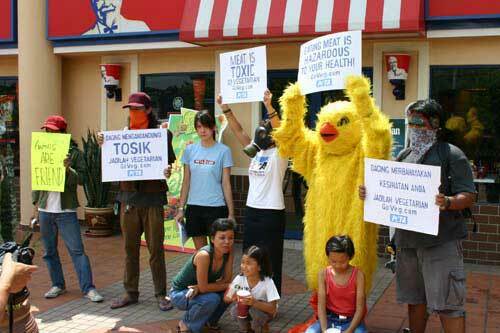 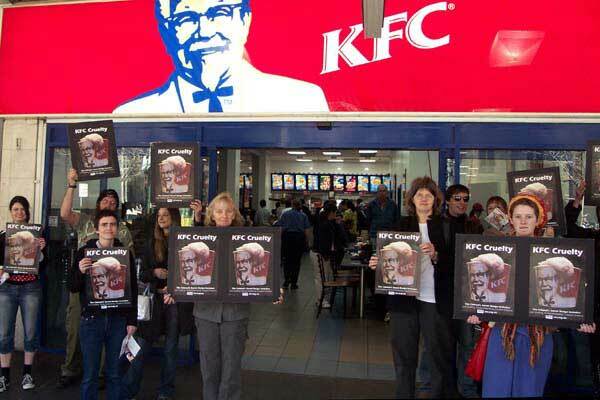 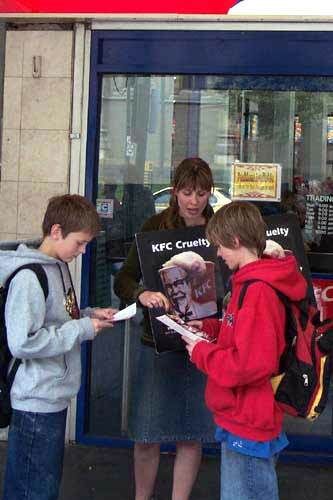 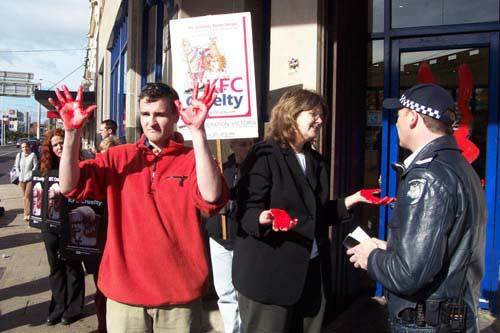 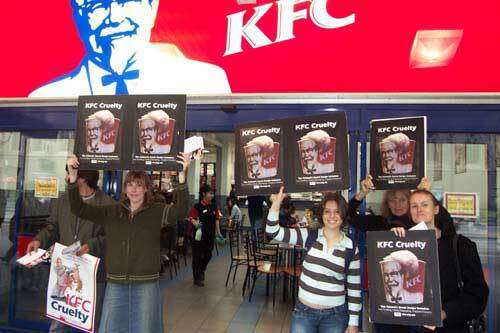 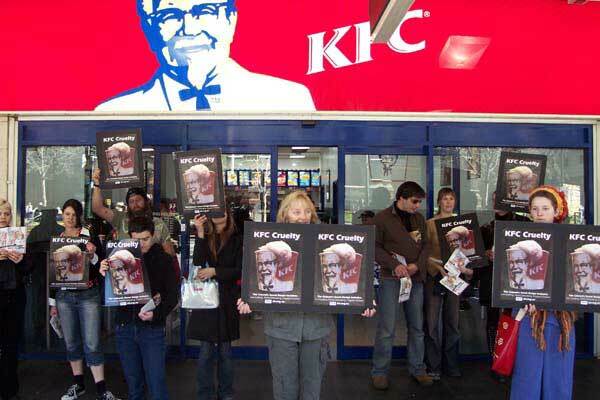 ALV protestors have shown video of ALV's open rescues of meat chickens at KFC suppliers (which document KFC broiler babies being raised in horrific conditions), given out free 'mock' chicken to show that there are delicious and cruelty-free alternatives to KFC, and have distributed over a million leaflets, posters and postcards to KFC customers and passers by, many of whom have sworn off ever again eating the remains of tortured and crippled baby birds. 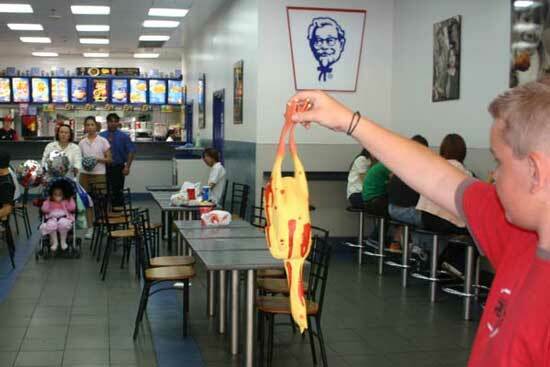 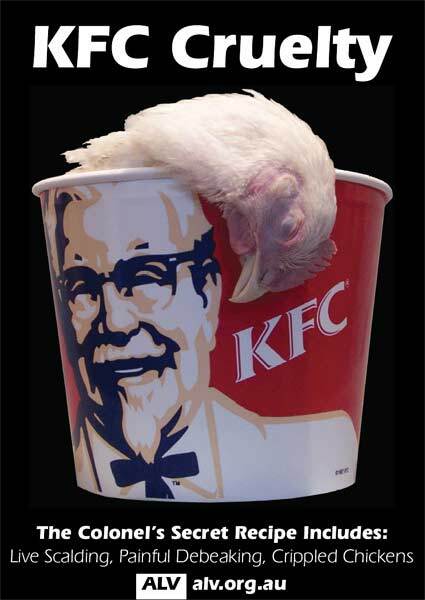 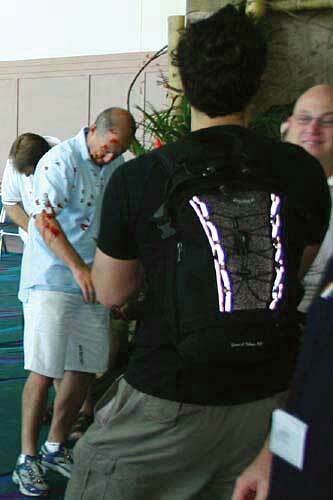 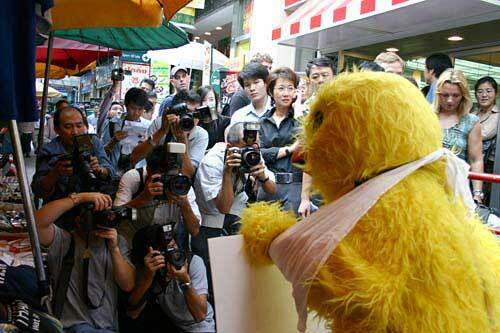 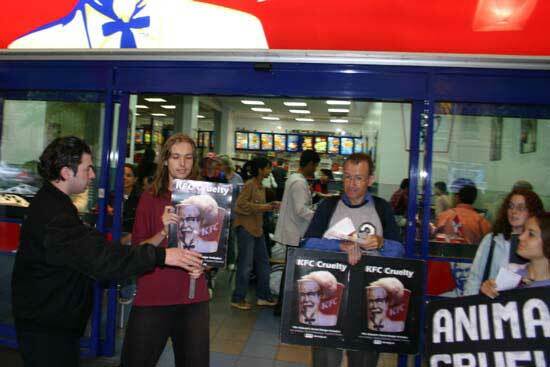 Following is a regularly updated photo essay documenting ALV's ongoing KFC Cruelty demonstrations. 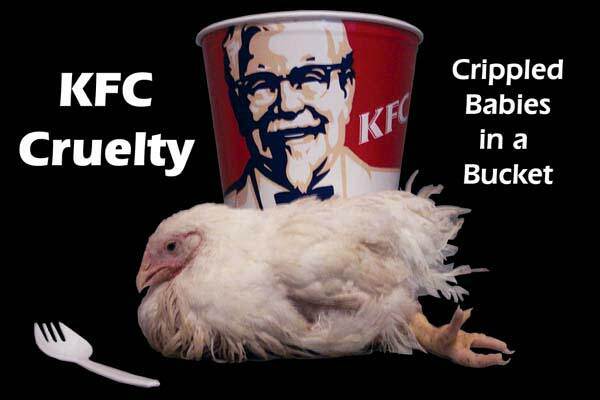 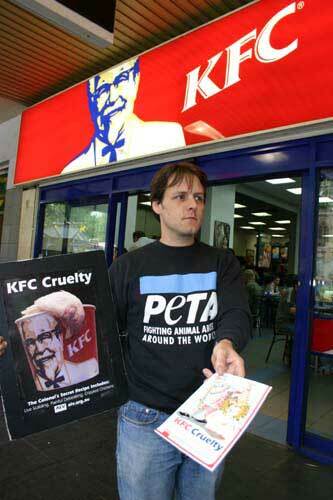 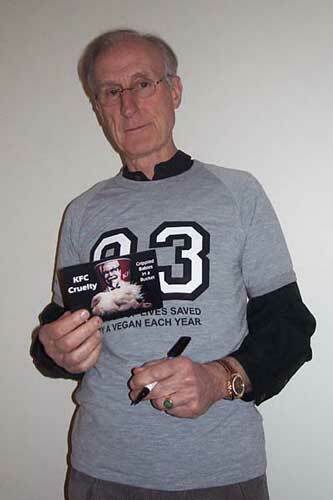 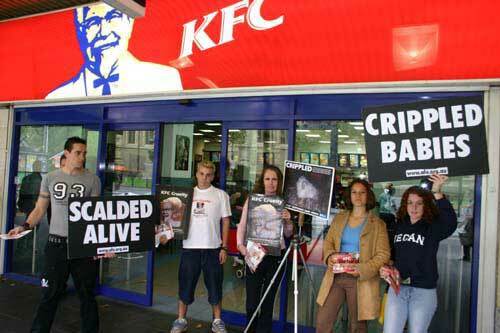 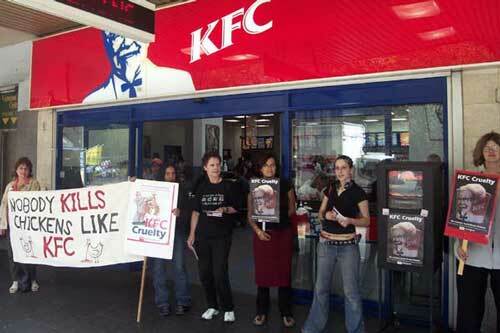 If you would like to get involved in a KFC Cruelty protest or conduct your own, contact ALV in Australia or PETA elsewhere in the world. 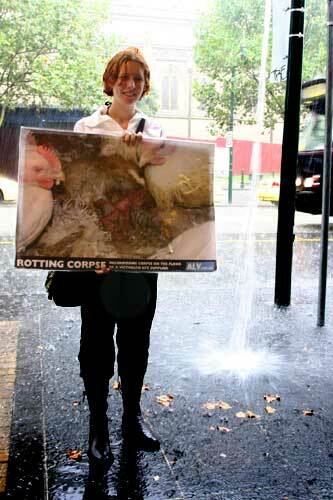 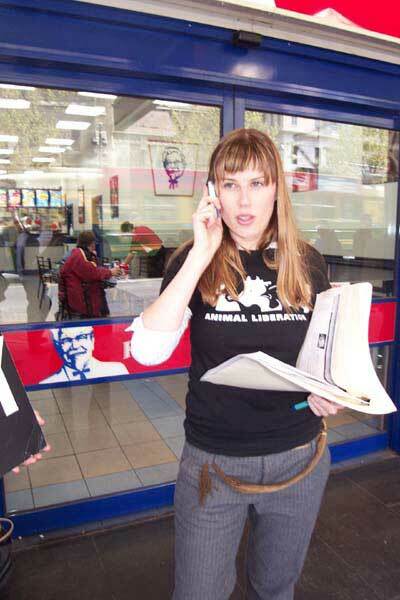 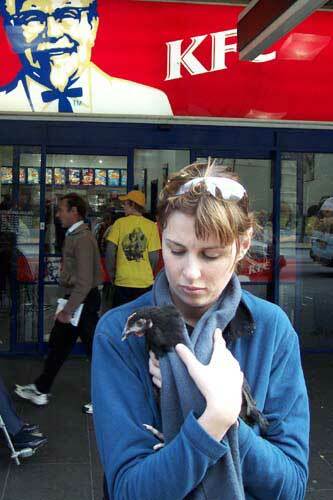 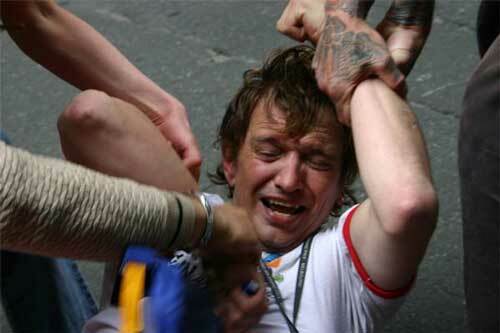 Lindsay McDougall of Frenzal Rhomb and host of the Triple J Breakfast Show came along to help in the protest against KFC cruelty. 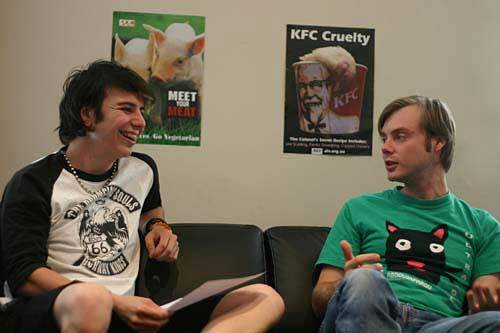 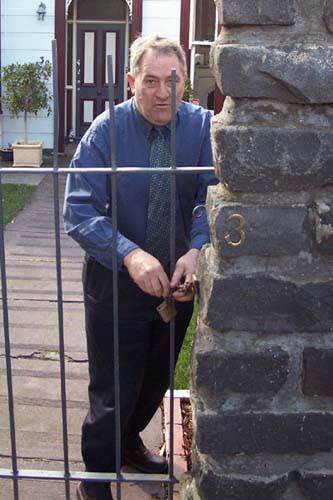 Afterwards he came back to the ALV office to do an interview with Ward from ALV youth, which will be released on the ALV youth DVD in 2006. 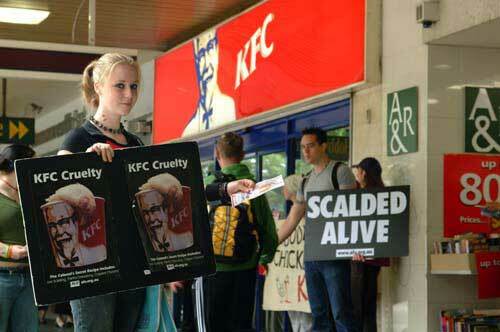 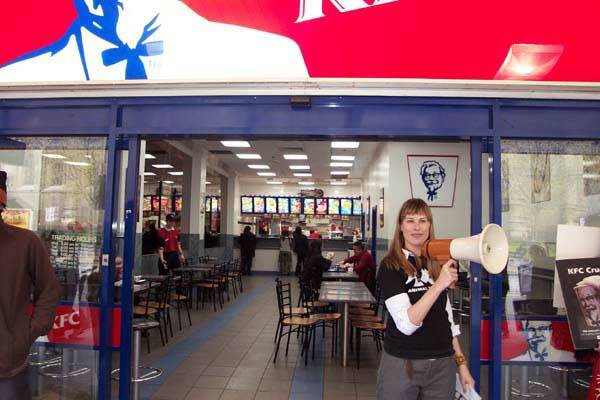 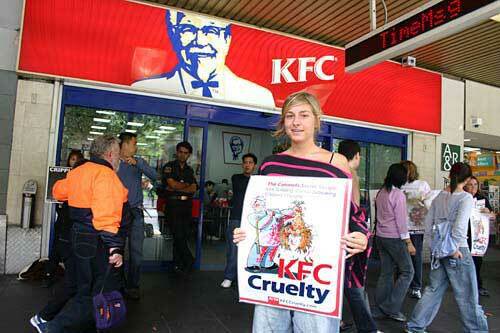 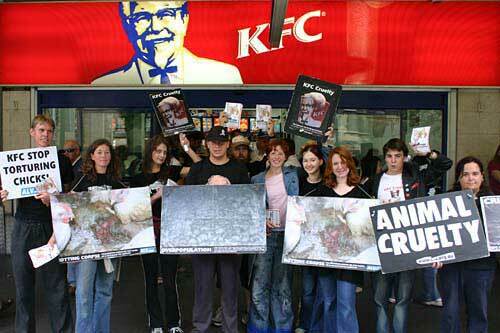 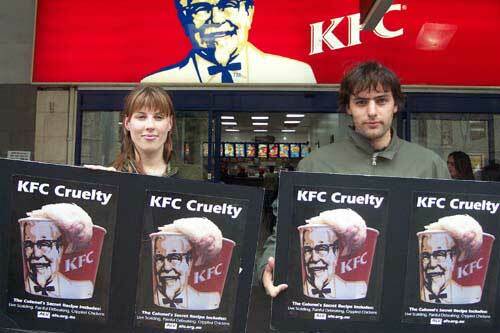 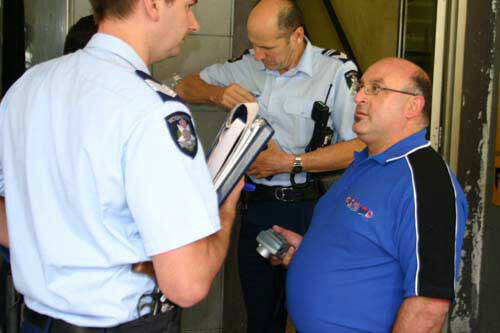 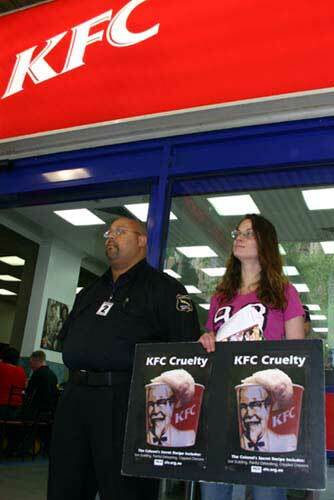 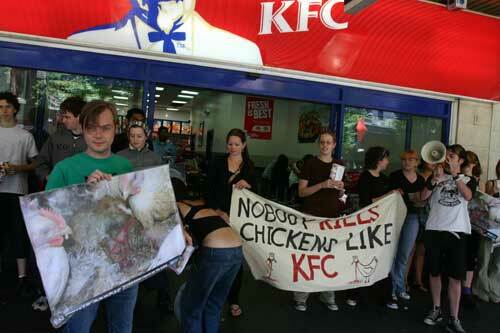 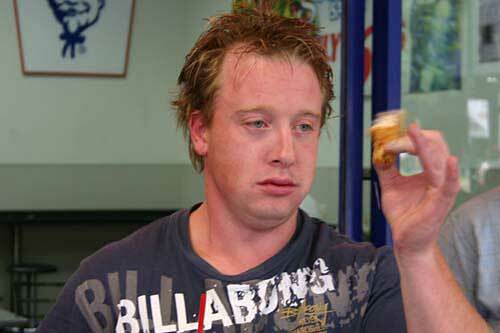 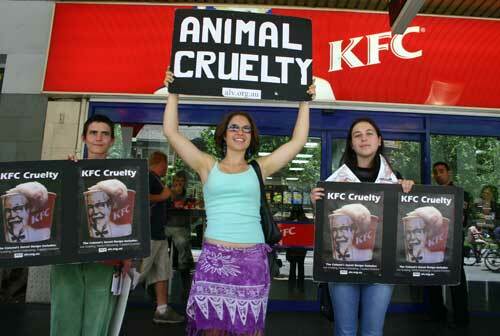 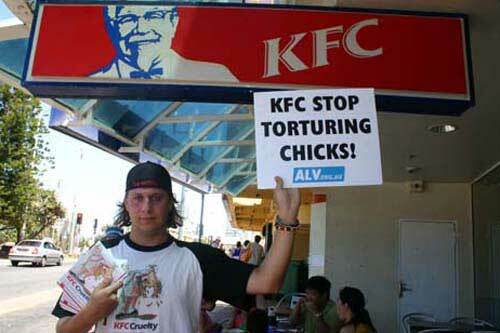 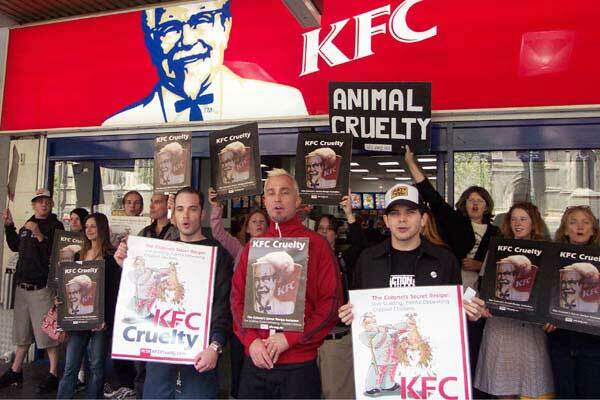 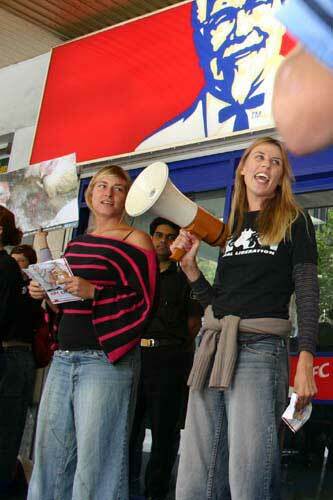 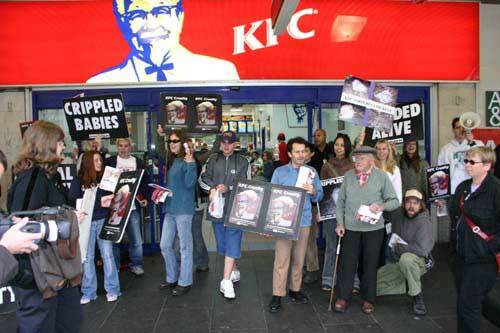 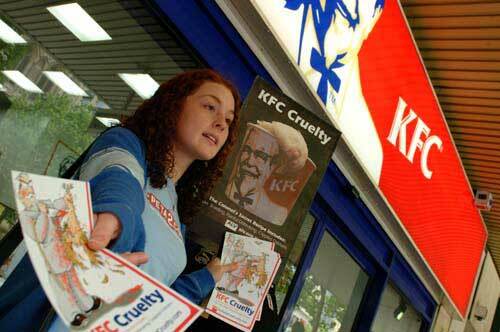 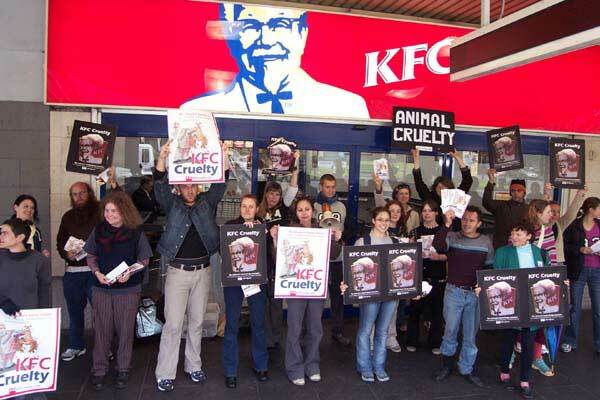 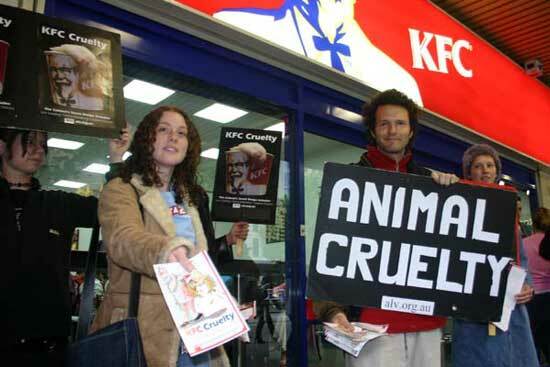 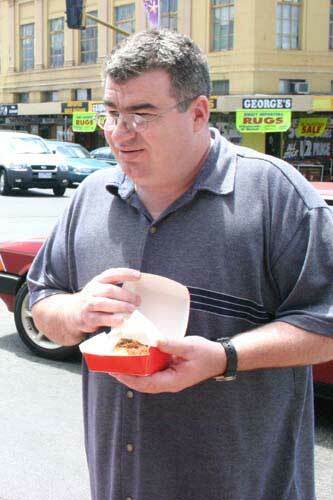 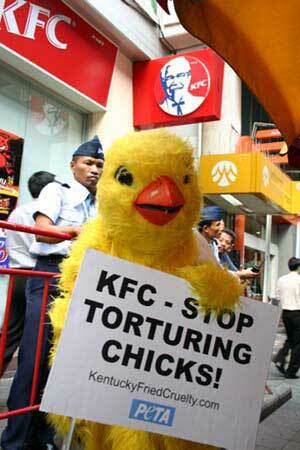 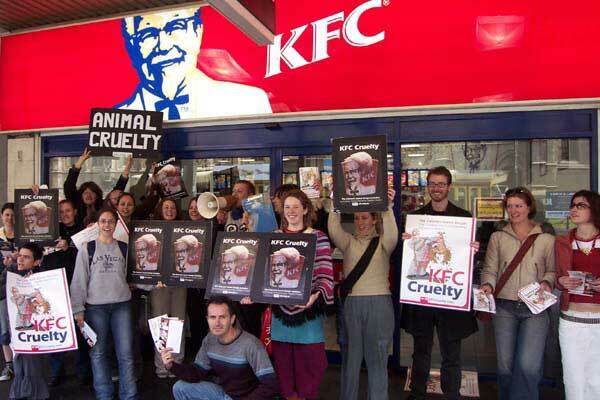 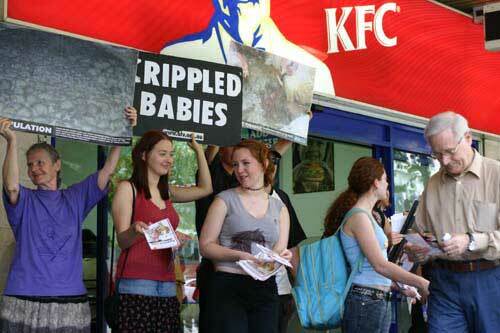 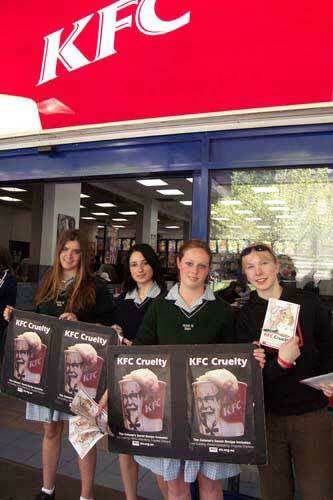 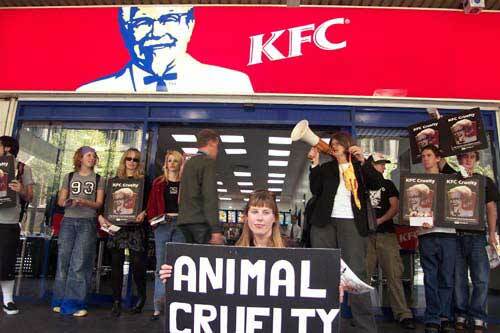 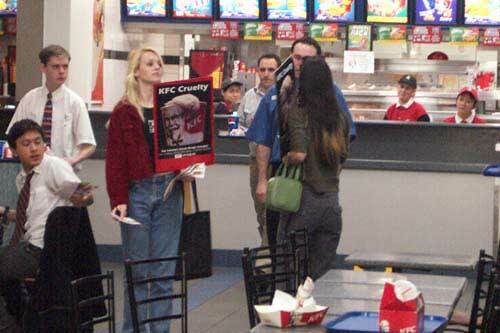 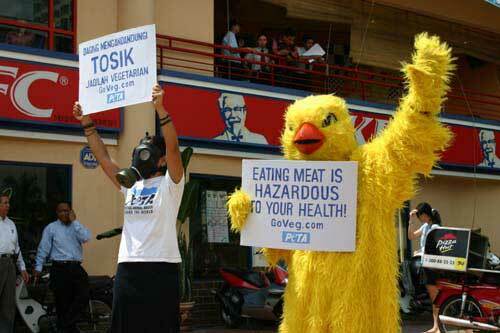 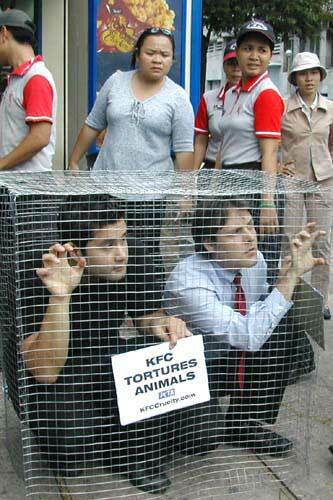 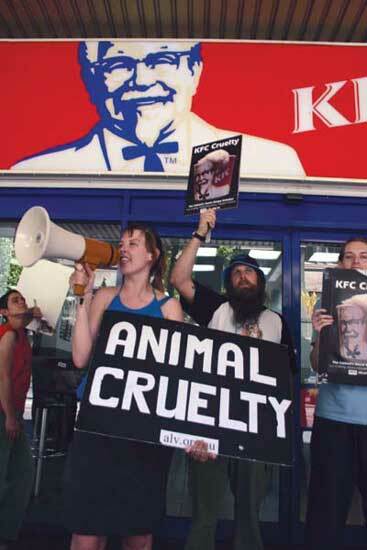 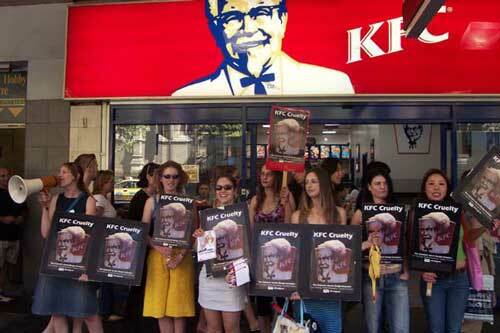 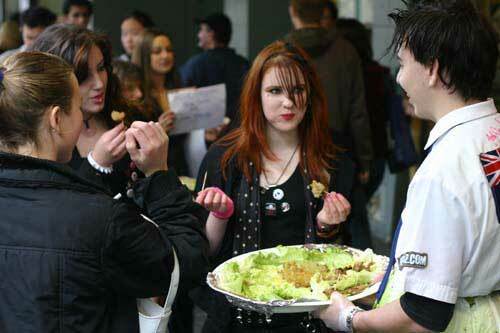 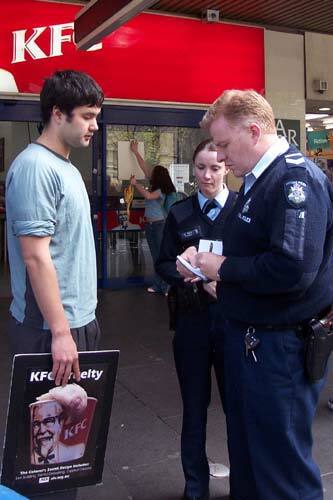 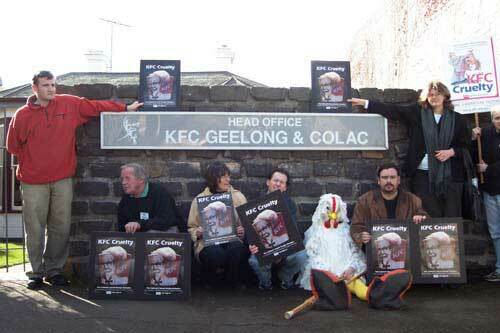 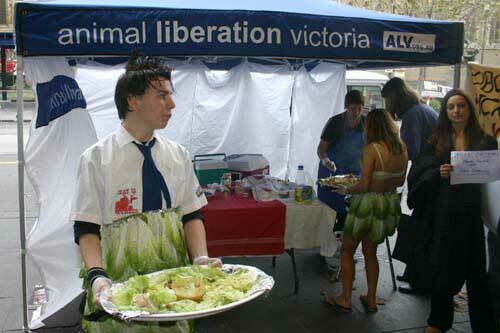 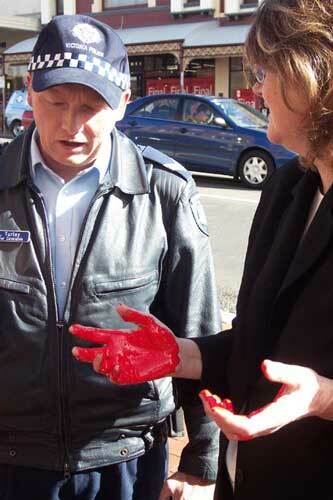 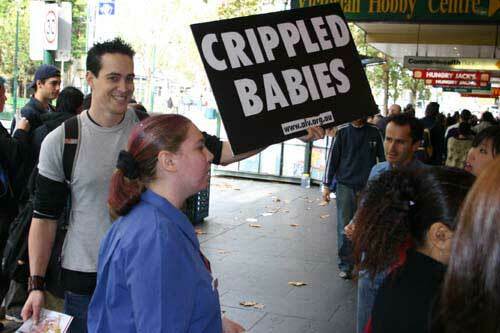 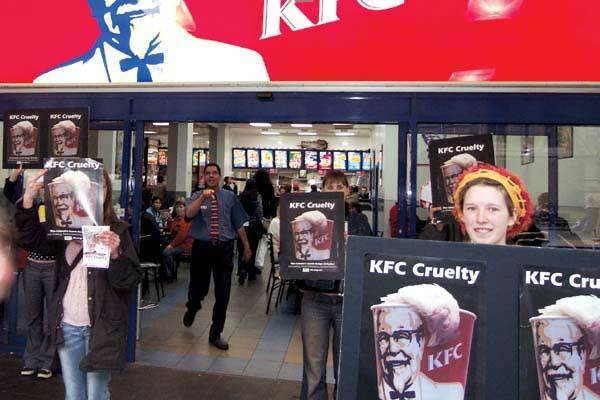 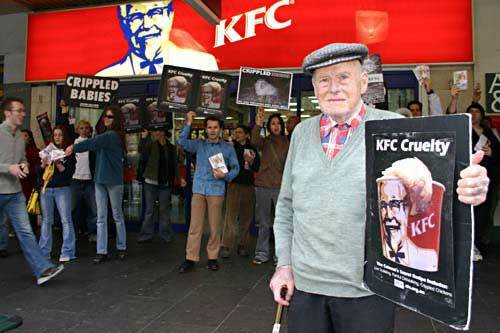 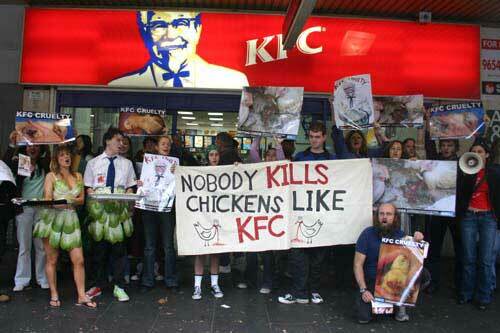 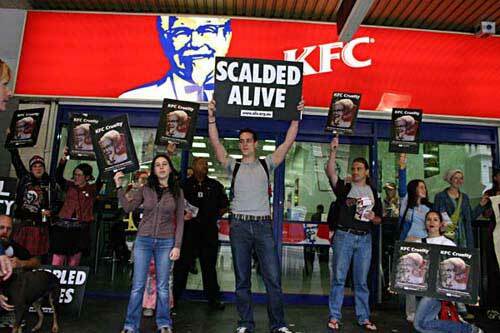 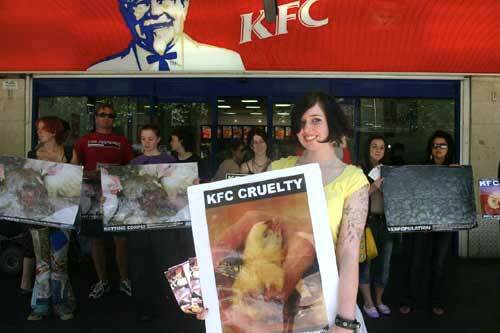 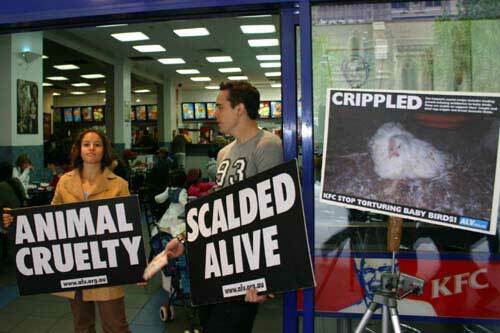 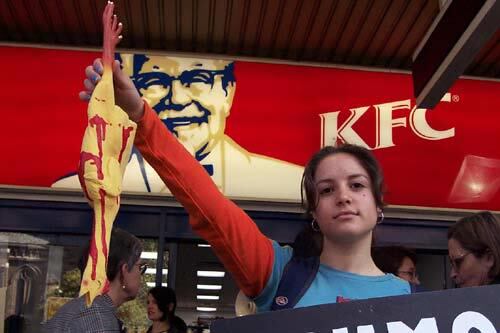 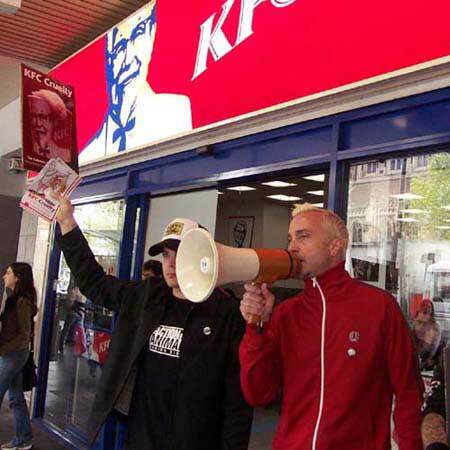 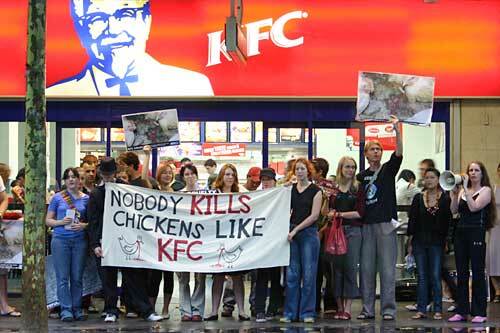 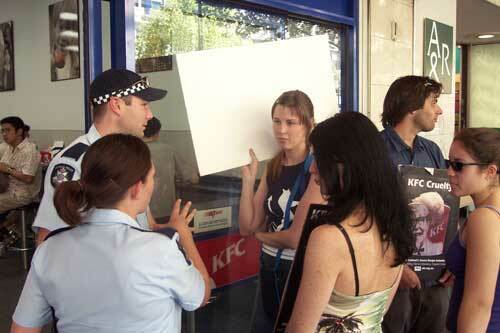 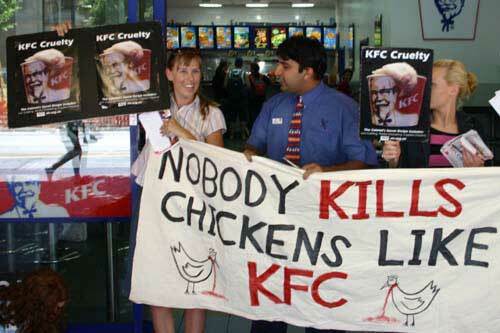 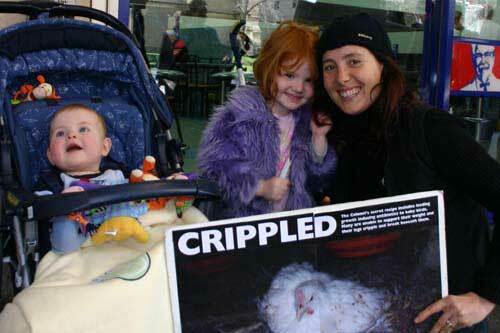 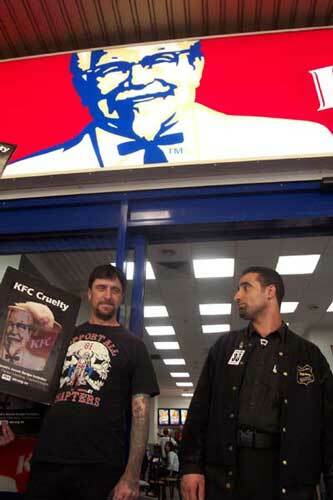 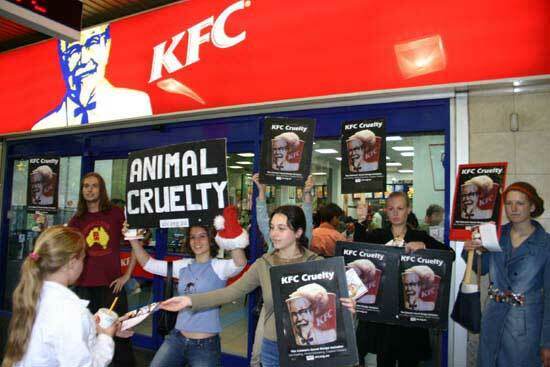 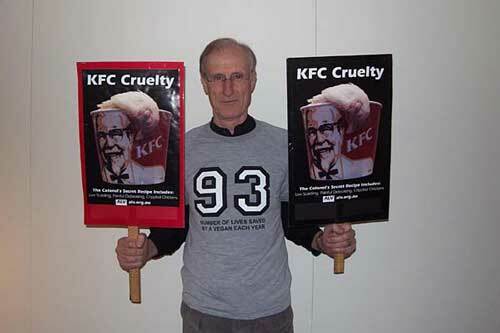 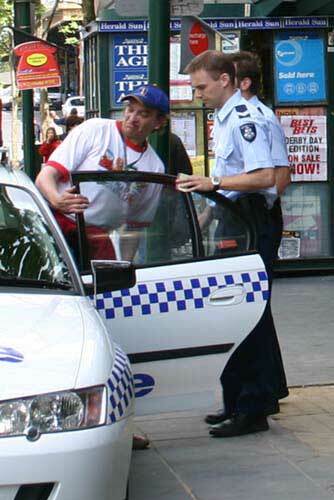 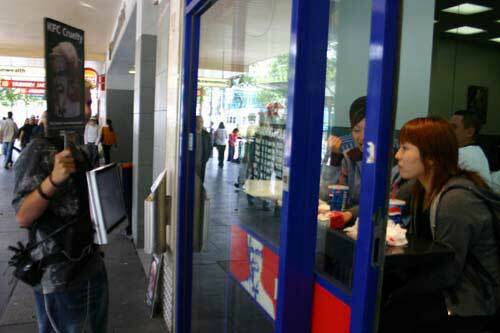 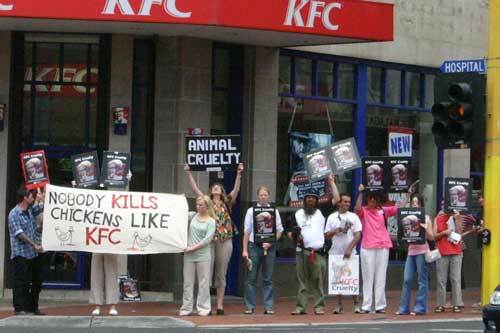 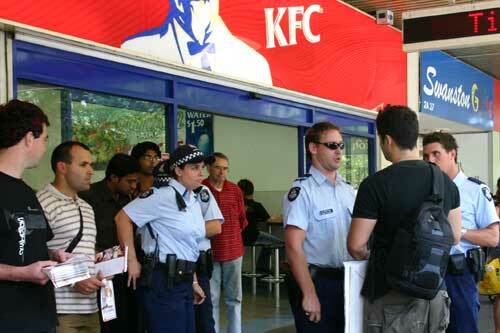 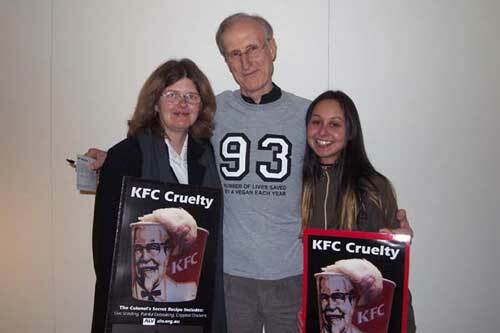 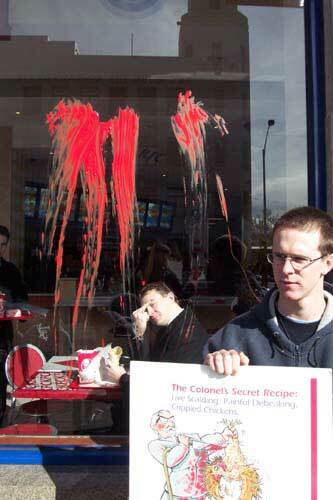 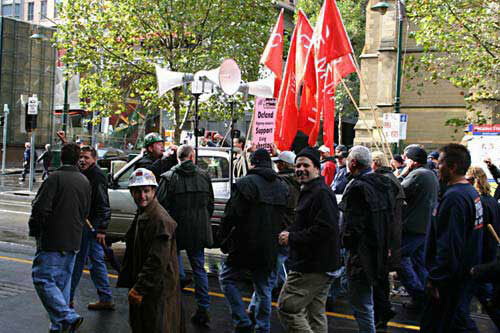 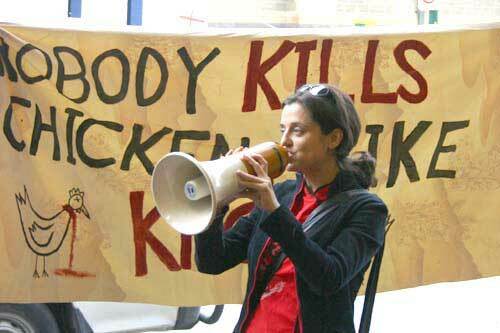 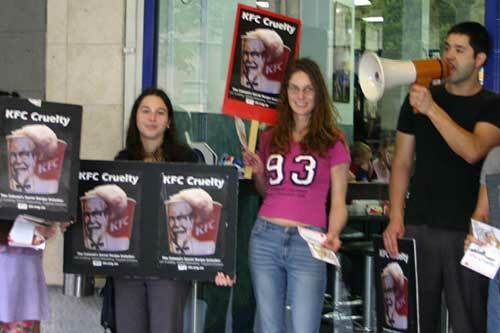 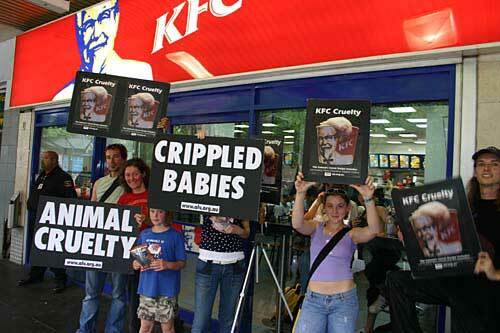 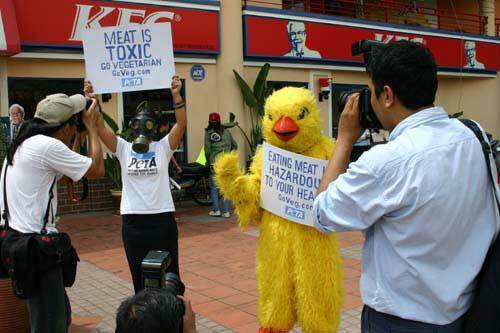 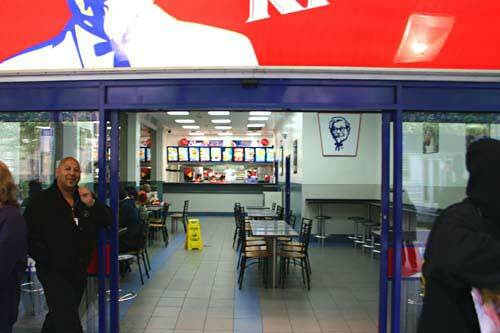 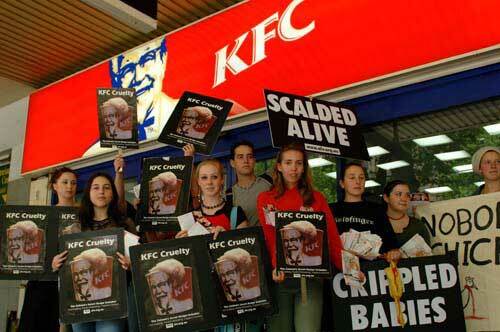 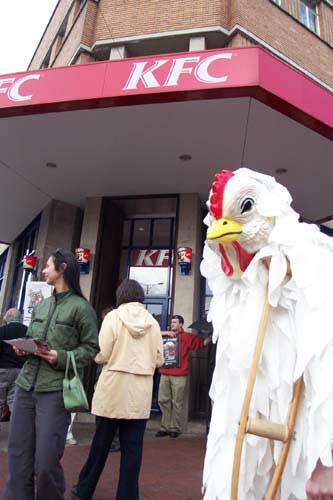 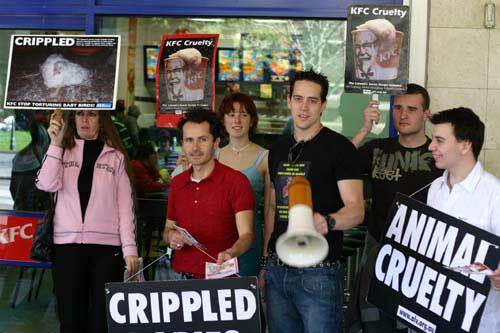 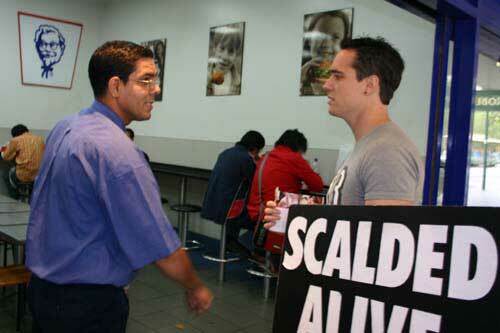 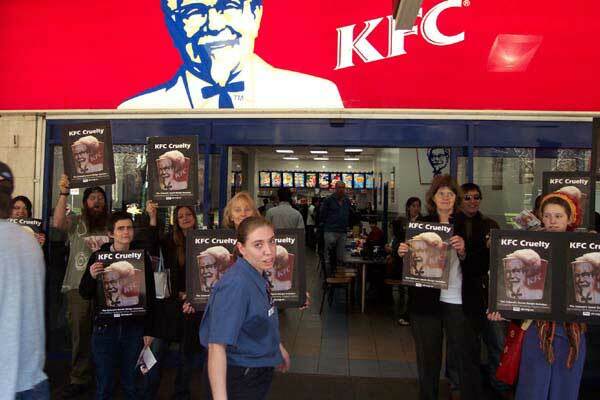 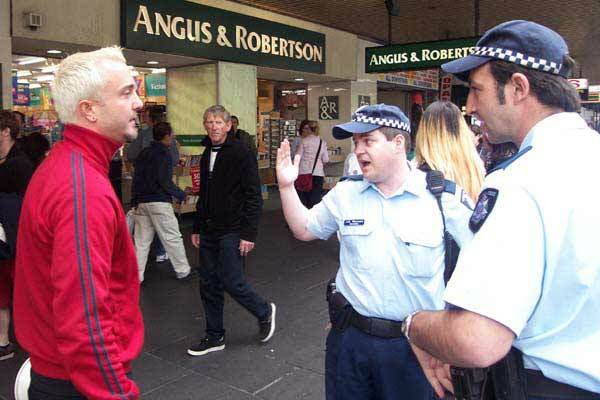 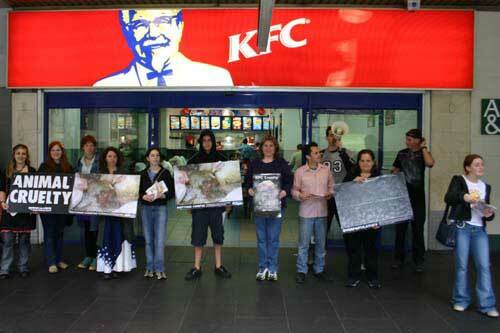 The first Melbourne KFC Cruelty demo of the new year saw a KFC manager briefly join the protest. 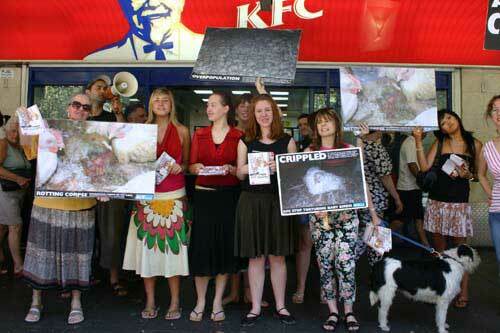 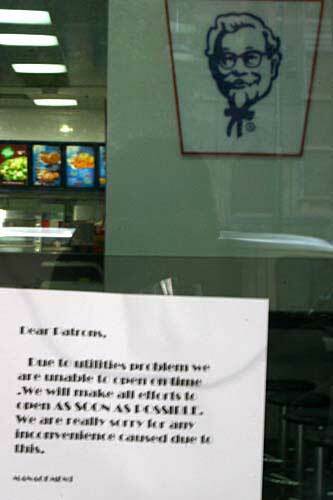 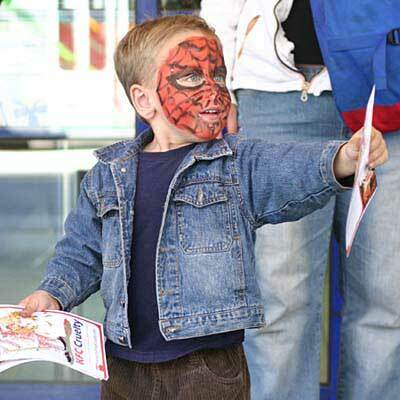 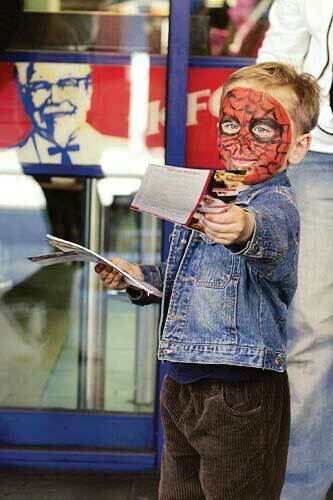 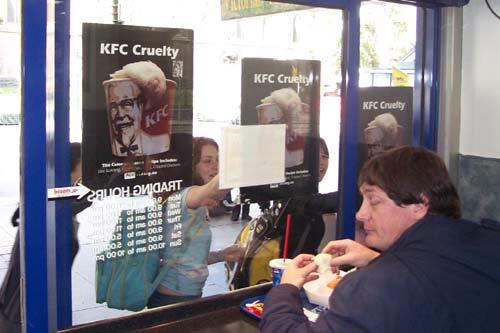 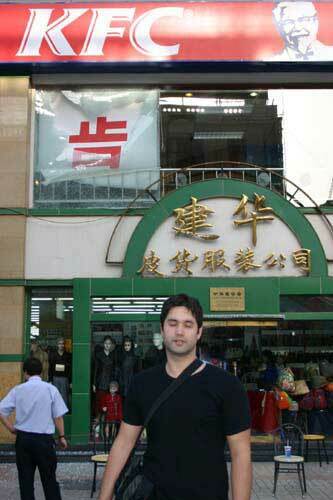 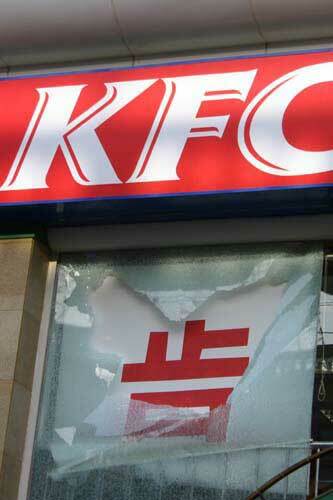 The second photo shows some of the literature that was plastered across the KFC store.